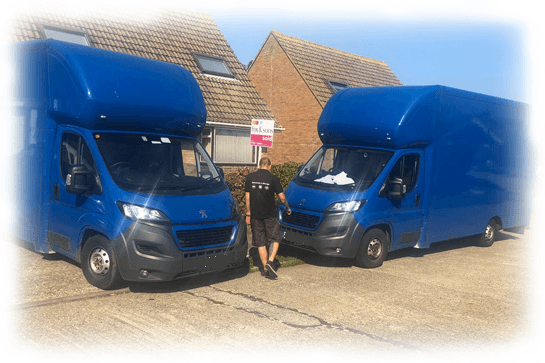 Need House Removals In London? We provide personalised house removal services in London, UK. You don’t need to buy everything. Supermarkets often have a supply of small to medium cardboard boxes to give away, and you can ask friends and family to save old newspapers for you. You’ll need plenty to wrap those fragile things in. Many people don’t realise quite how much “stuff” they own until they move house. Start packing early so that you have plenty of time to get it all done. For a large house, you may want to start up to eight weeks before your move. If you live in a flat, four weeks should be ample time. Some things can be packed well ahead of a move, while others need to be in use up until the big day. Seasonal things, such as Christmas decorations, can usually be packed well in advance, and old paperwork files can also be packed early. Remember to have some boxes ready for the last minute things which you can’t pack until the morning of the move. Check the maximum load for your boxes and don’t overfill them. Your boxes need to be manageable to lift and they may break if they are overloaded. Print a copy of the floor plan of your new place and allocate each room a number. Mark up each packed box with the number of the room where you want it to go, give your removals team a copy of the floor plan and you’ll make life much easier for everyone. Moving house is a great opportunity to do some decluttering. Packing and unpacking things which you no longer need wastes your packing materials and your time. Better to part with your unwanted things and keep your new home clutter-free. Charity shops will gladly have good quality items, and the rest can go to your local recycling centre. Our removals professionals at House Removals London can give you advice on packing and preparing for your move. Call us today on 0203 936 0756 and speak to our friendly team. © 2018 Copyrights House Removals London. All rights reserved.